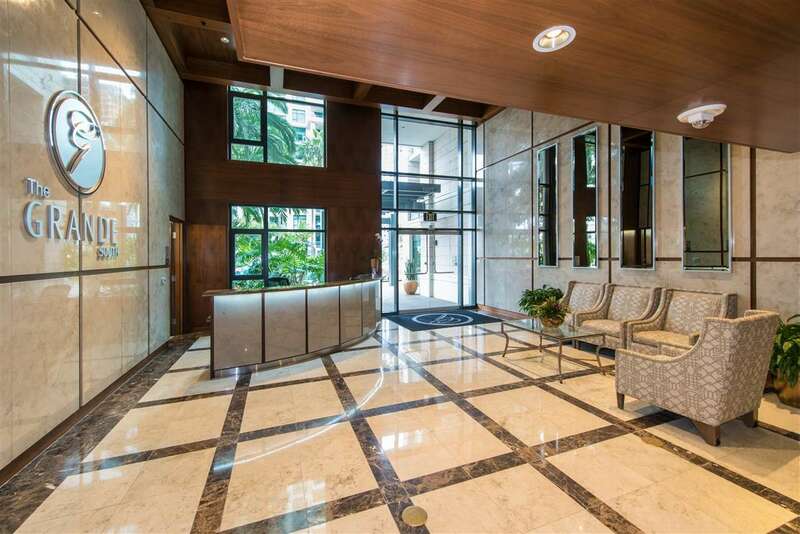 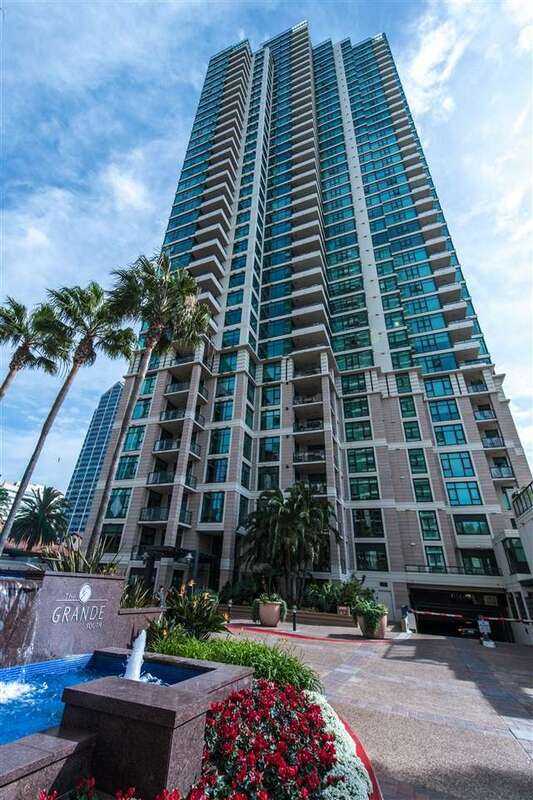 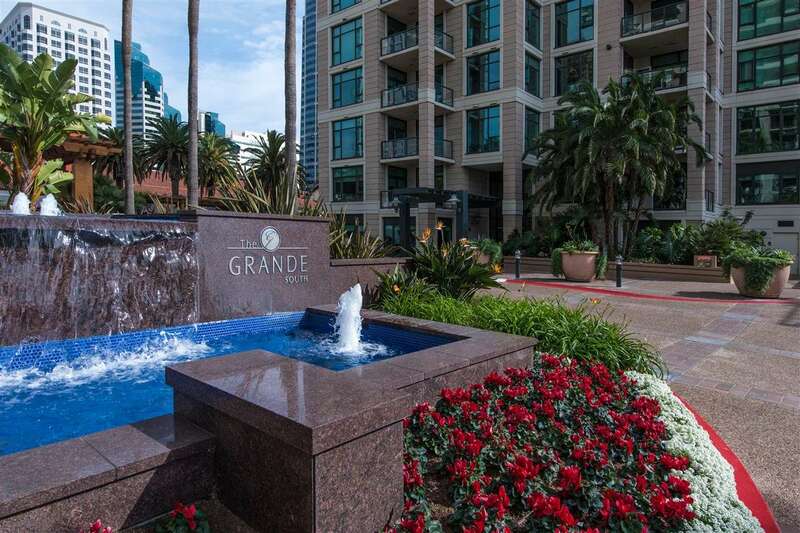 Spectacular 25th floor view condo in one of downtown's finest high rise buildings, The Grande South. 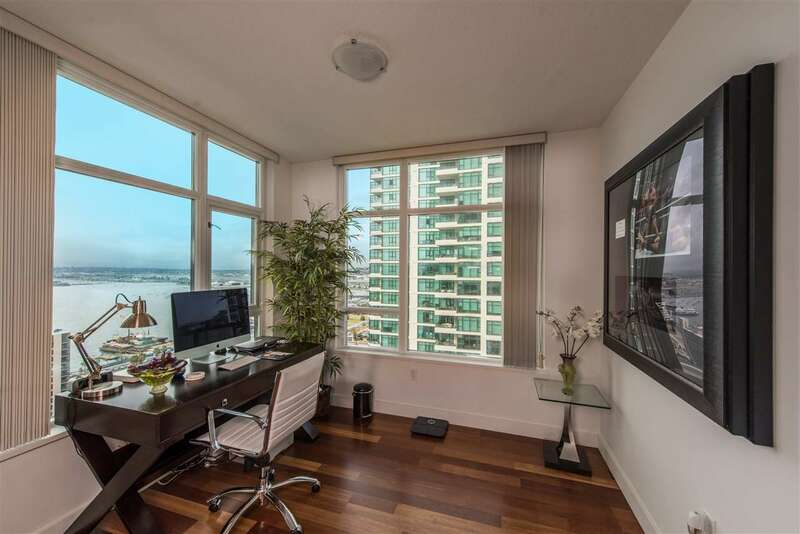 This unit features 2 bedrooms plus an additional office/ den space. 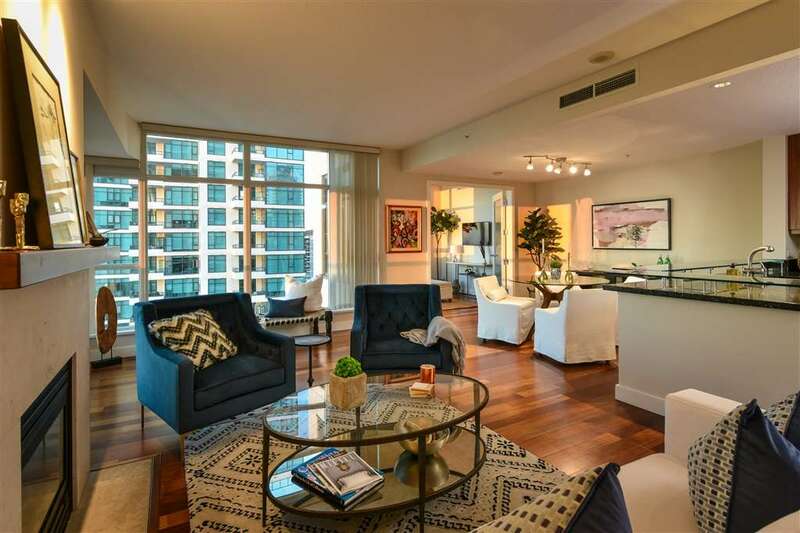 Hardwood floors, gourmet kitchen and eating bar with granite and glass counter-tops, stainless steel appliances. 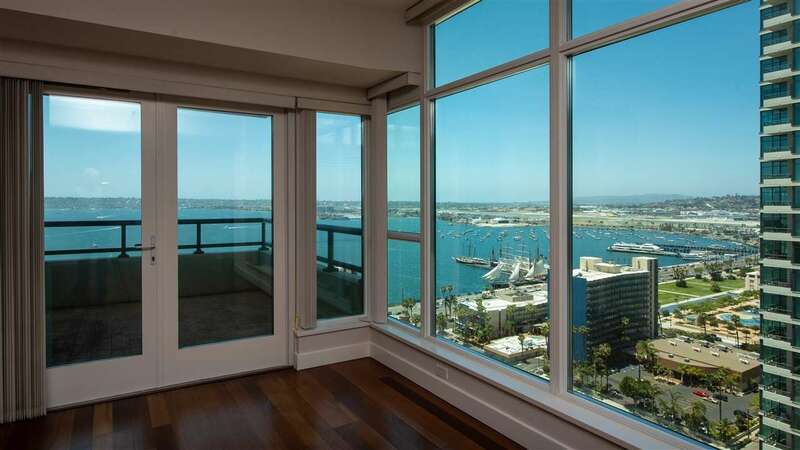 Large view deck off the living room. 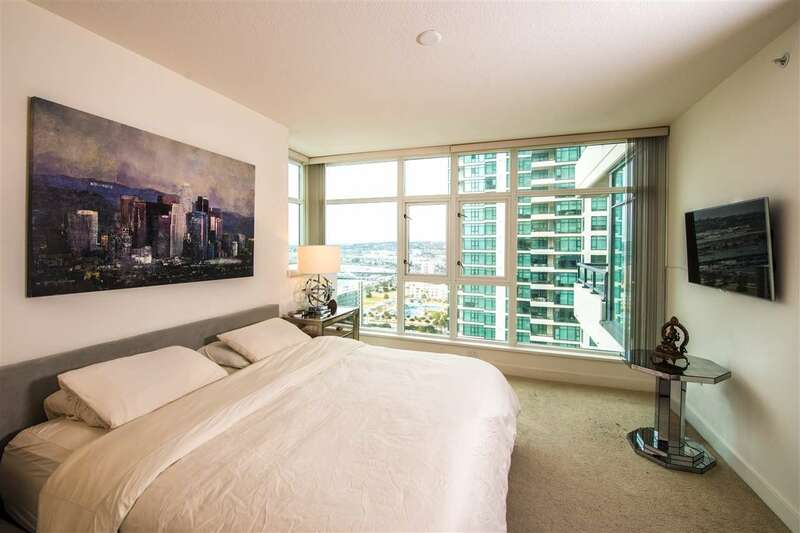 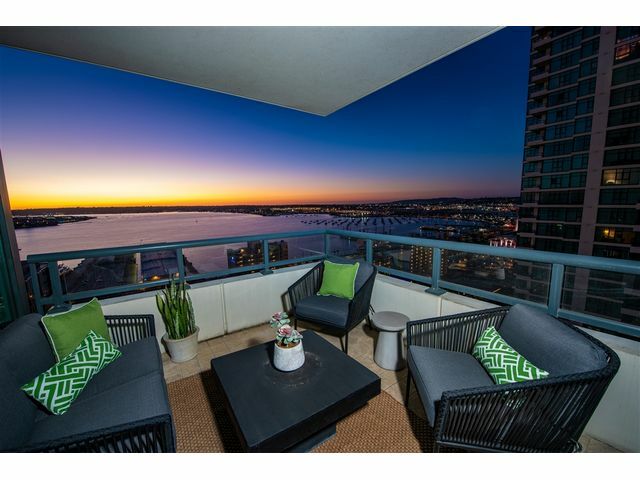 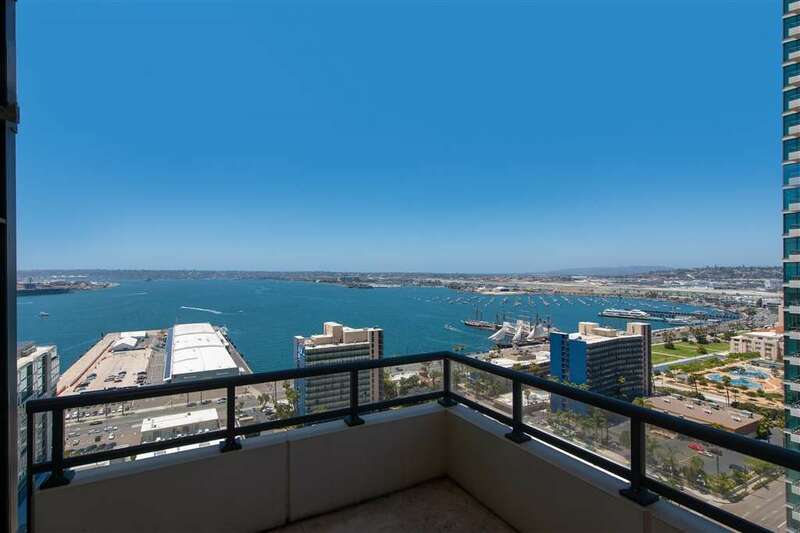 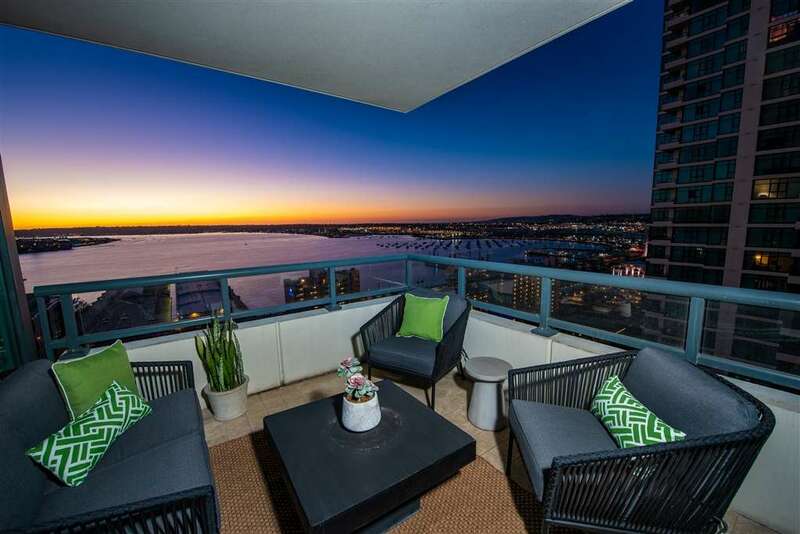 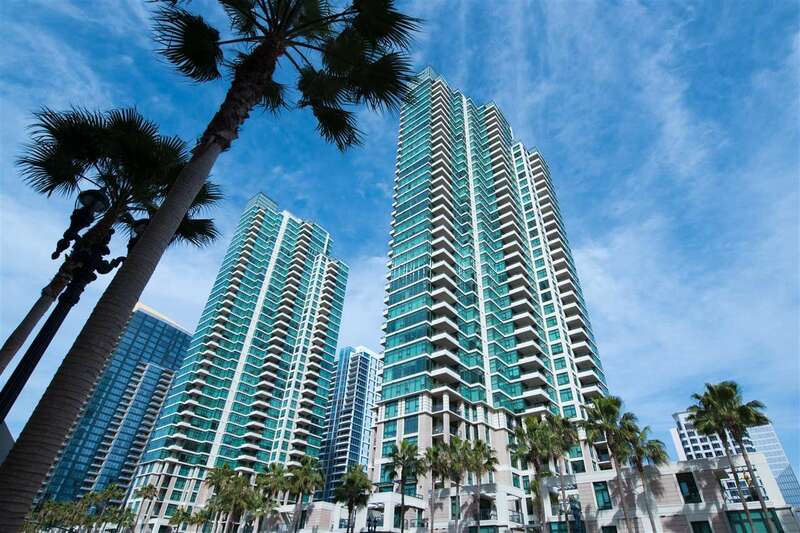 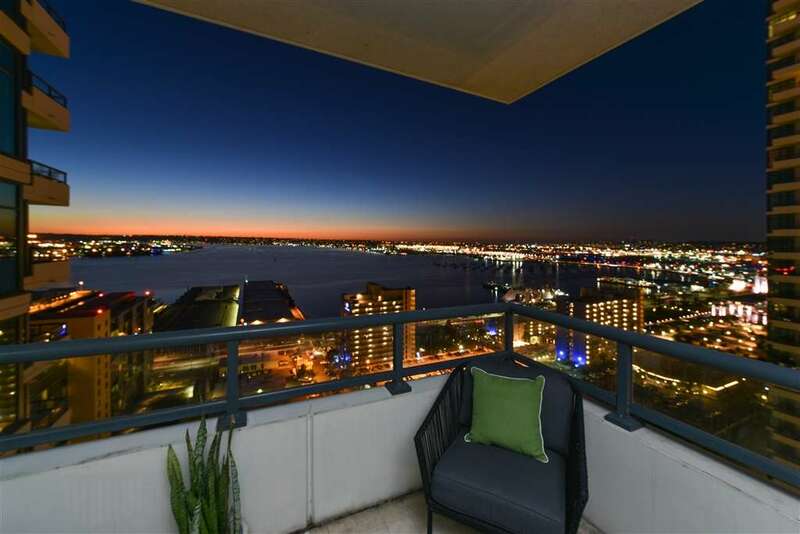 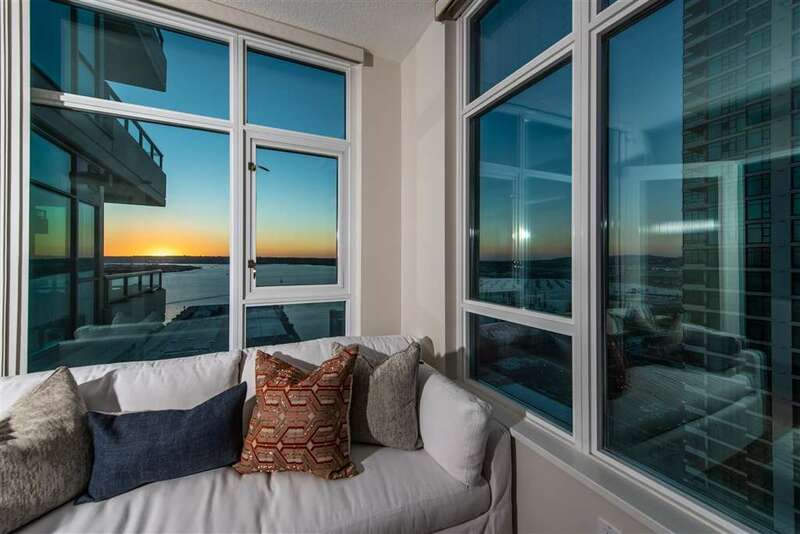 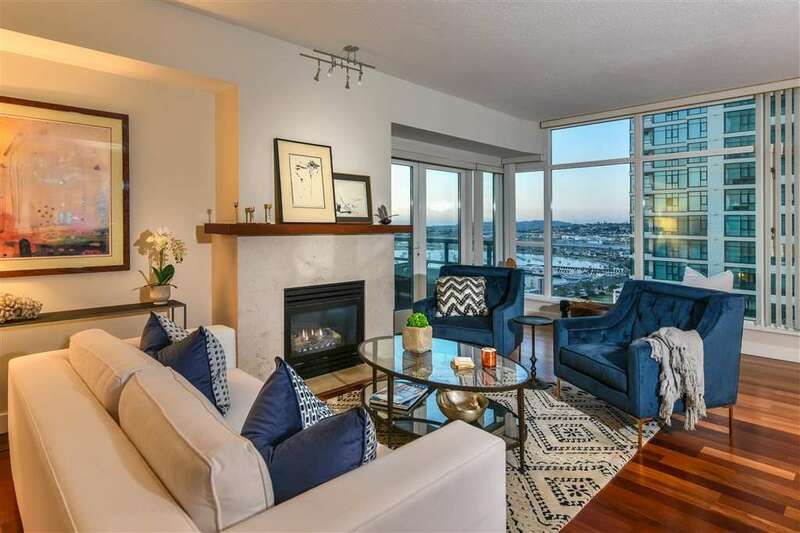 Panoramic bay, ocean, city and sunset views throughout the unit . 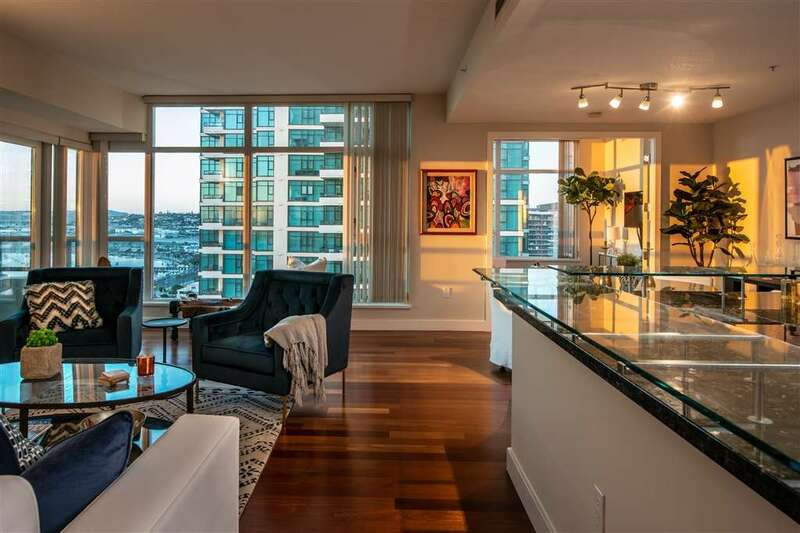 Abundant natural light throughout. 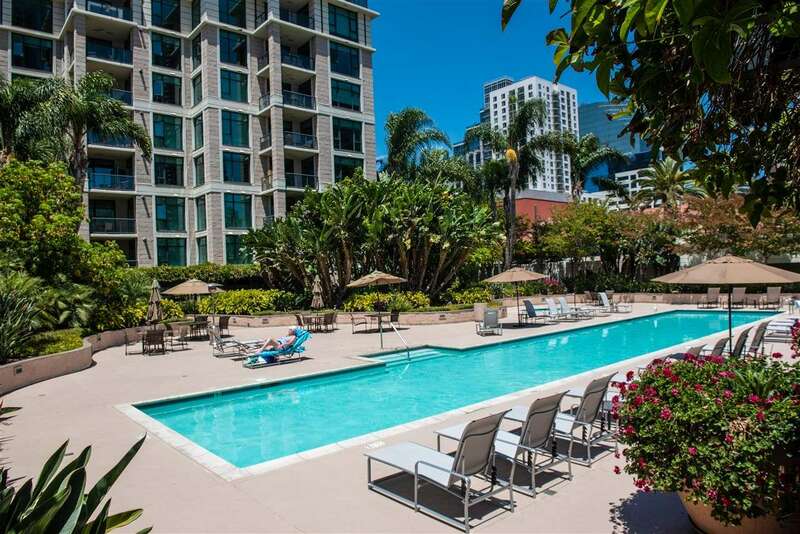 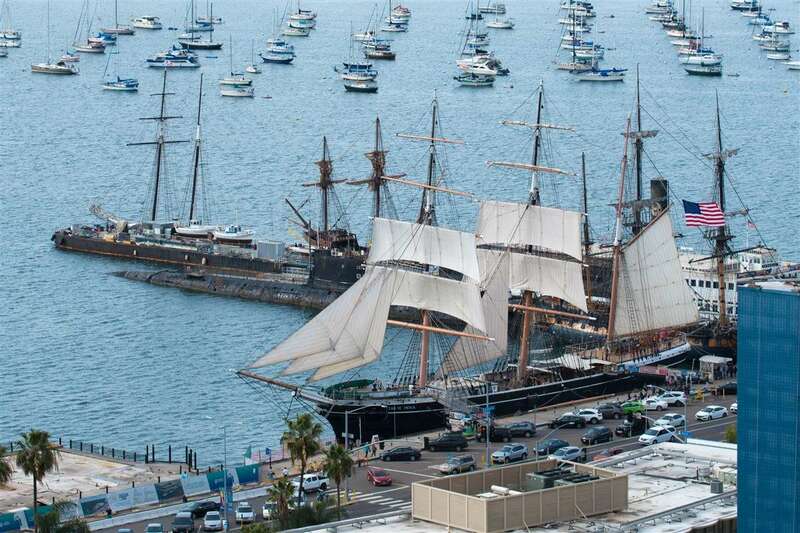 Walking distance to shops, bars, restaurants & the train station.